In previous post we tried to create module, component and routing. Lets look into how to add third party libraries. 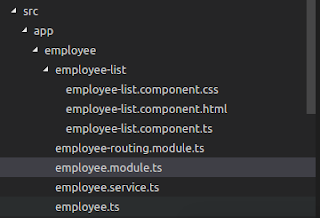 In Angular4 adding third party libraries is pretty easy. Install using npm and add the module. Its one of my most loved feature in Angular4. PrimeNG is one of the most used and most popular Angular4 library. It consists lot of components and its easy to setup and use. Besides it does have a good team working behind this library. In my experience it's one of the fast developing library. PrimeNg needs font awesome for icons . Unlike any other libraries , PrimeNG had separate module for each component, which helps to include only selected component in the bundle. When i first started using Angular 2 its in beta. 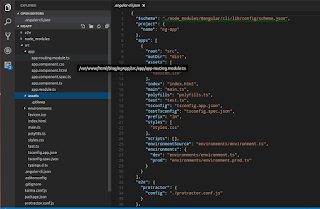 Getting started with Angular is pretty easy. The team provided an awesome cli-tool which will help to create, develop, test and build the Angular project easily. We need to install the angular/cli (Formerly angular-cli) globally. Latest angular/cli(1.1.2 at the time of this writing) will create an Angular 4 project. So that's all about angular/cli. You could check out detail in here. Lets create an application and try it. For creating new application run the following command.